TGA Consulting Engineers LLP were employed by the Homes and Communities Agency for this Former Electrolux Site Residential Development. 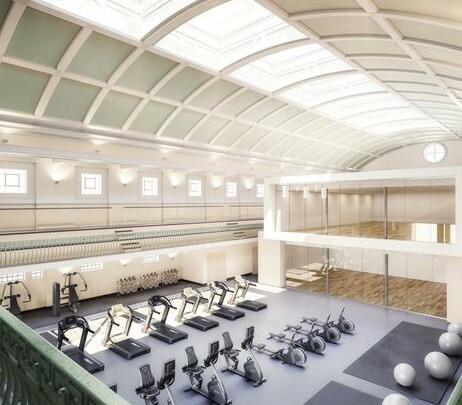 TGA Consulting Engineers LLP were employed by the Chapter of Nicholas’ Cathedral for the refurbishment of the existing, aged electrical services, involving full design and site supervision. TGA Consulting Engineers LLP were appointed by Fusion Lifestyle, a charitable organization formed in 2000 to provide quality sport, leisure and fitness activities to local communities and encourage people to get healthy and active. TGA are working with Purcell on another historic and landmark project. The £27m Hull Maritime Museum Project will see life brought back to the once bustling docks and transform Hull into the north’s next major tourist attraction as Yorkshire’s Maritime City. TGA are currently developing the Mechanical & Electrical Building Services Design. TGA Consulting Engineers have been commissioned as part of the design and delivery team to take this £29m project from Stage 4a through to completion. Will deliver over 25,000 of Grade A Office Accommodation within a prime location. Feethams House will offer flexible floor plates with parking available in the nearby multi storey car park. Working along side Northumberland College, TGA are appointed develop the M&E services design information . TGA are delighted to be working to bring this historic and important landmark in Newcastle back to life.